I think one of the most unattractive qualities in a person is negativity. And it is one of the most frustrating qualities to be around, especially, because when I'm ready to start complaining to Officer about it, I realize I'm being negative. There are a few people I'm around who just really get under my skin with all of their negativity. And recently, it has made me take a step back at my life and try to identify where I have negativity. Then, I start to wonder if I'm using my blog as a channel for my negativity. I have such unkind feelings towards ignorant, uneducated (not like college, but uneducated about the police) people who run their traps about the police and I'm happy to put it all out there on my blog. But, is that really effective? What am I accomplishing? I guess, it feels great to vent. But, it doesn't help me address my actual feelings towards these people- that's when I was reminded about the importance of forgiveness. Where would we be in life without forgiveness? Gosh, I'd probably not have many friends. I can't even begin to count the times that I've forgiven someone, or more importantly (and probably a much bigger number) the times that they've forgiven me. Or how about the greatest Forgiver? How grateful I am that He is understanding. Isn't that what we are called to do, be like Him, and forgive? I can already think of someone who I have been hurt by because of their comments about the police. I'm going to take it upon myself to learn to forgive them this weekend. Because, they have been a great friend. And because, we're taught to forgive. And because, there are times we all need forgiveness (especially me). Without forgiveness and understanding, Officer couldn't do his job. Sometimes, the bad guy one day is the informant the next. If Officer couldn't get past what he did to him the day he was a bad guy, he'd miss the opportunity to use him as an informant. This quality in him reminds me of a quote from Gandhi - The weak can never forgive. Forgiveness is the attribute of the strong. Mmhmm. I really know what you mean about having unkind feelings towards people who are ignorant about what it means to be a police officer or married to one. I don't advocate carrying around a grudge either, but I've also really stepped back and had to evaluate who I want in my life. Being around people who bring me down and just frustrate me endlessly aren't worth having in my life. The people who support you and your hubby are the best people to have around! And you've got other police wives (me, for one!) behind you too! Very good post...you are very right about forgiveness. I couldn't agree with you both more. Sometimes you do have to take a step back and realize who is important in your life and their attitude towards your family! 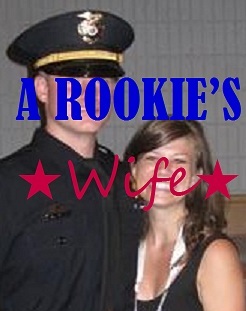 It is hard to be a cops wife and a lot of people don't understand. Nice that we all have each other!! Great post! I loved it so much that I blogged about it. Hope lots of people come your way!